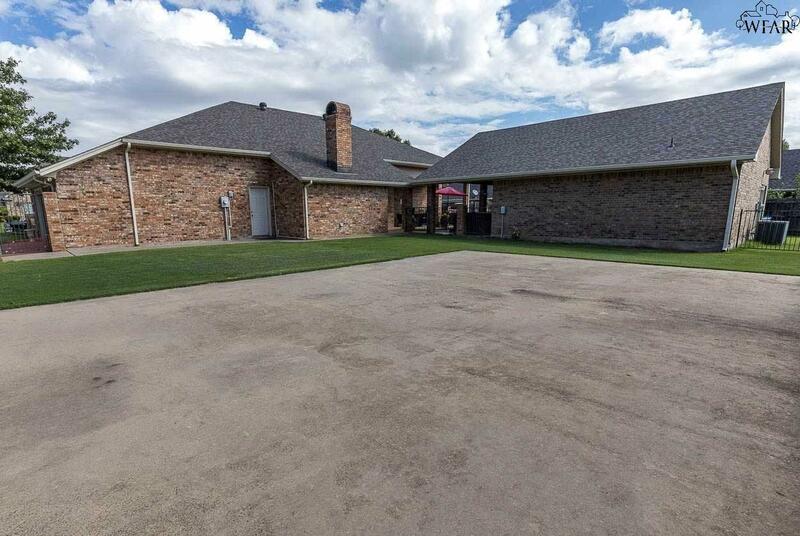 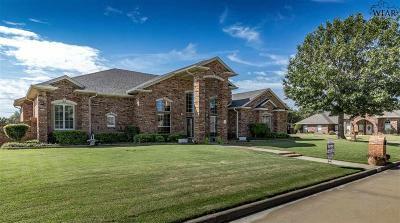 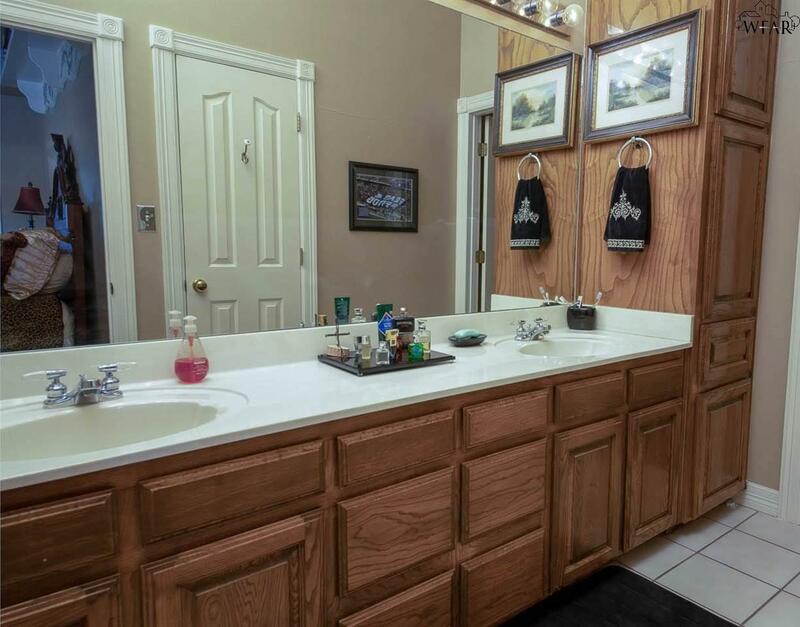 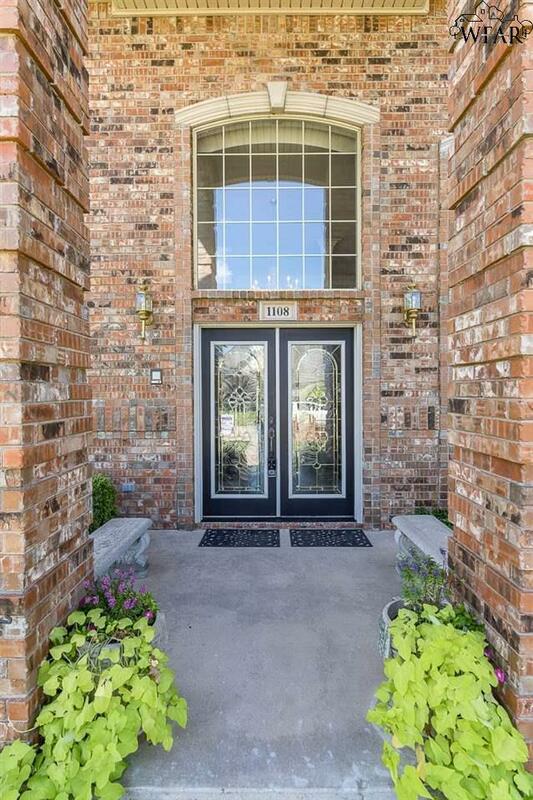 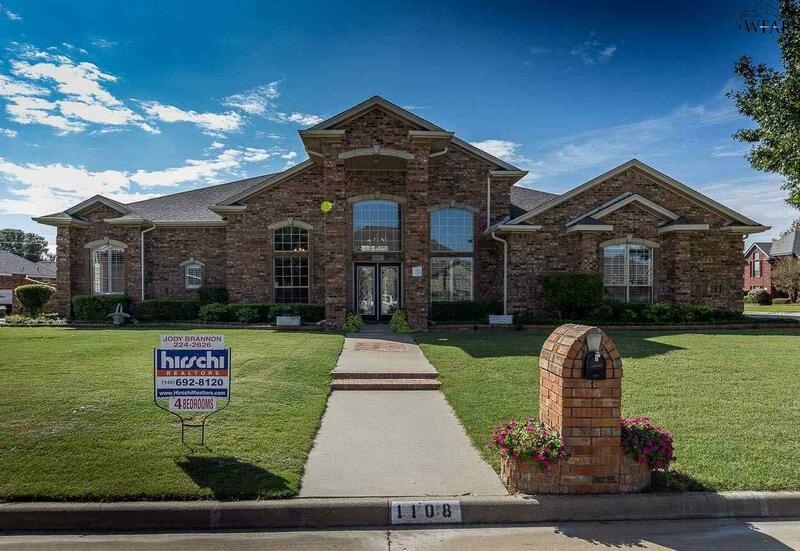 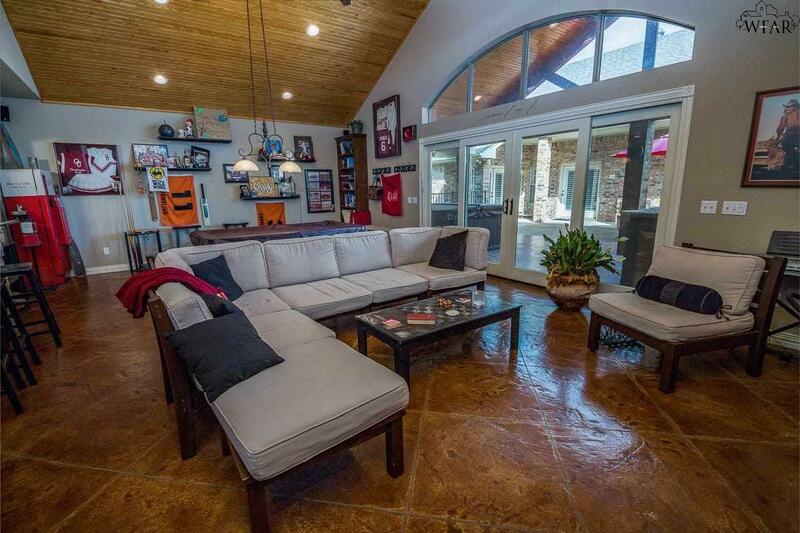 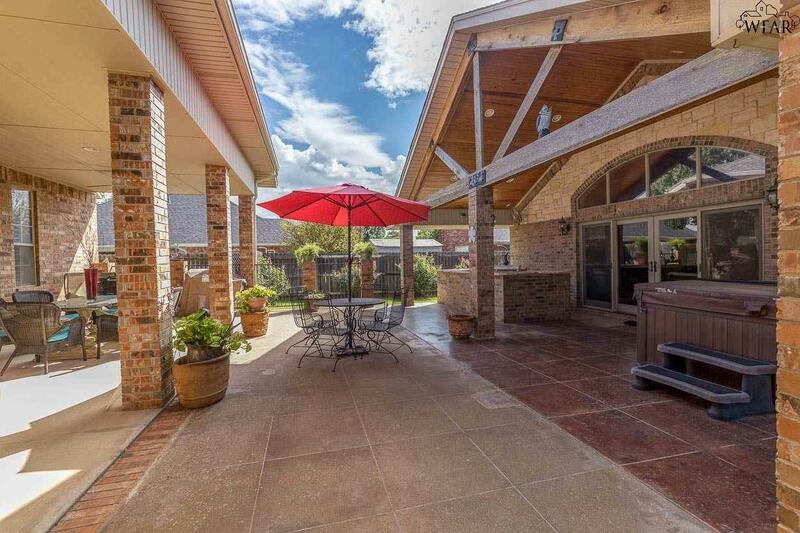 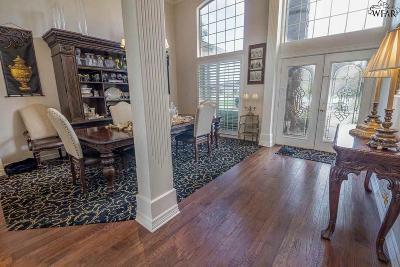 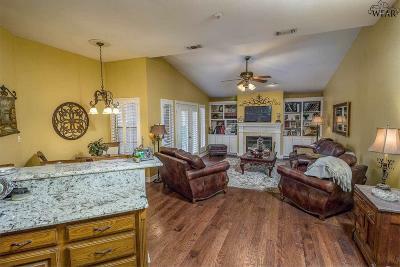 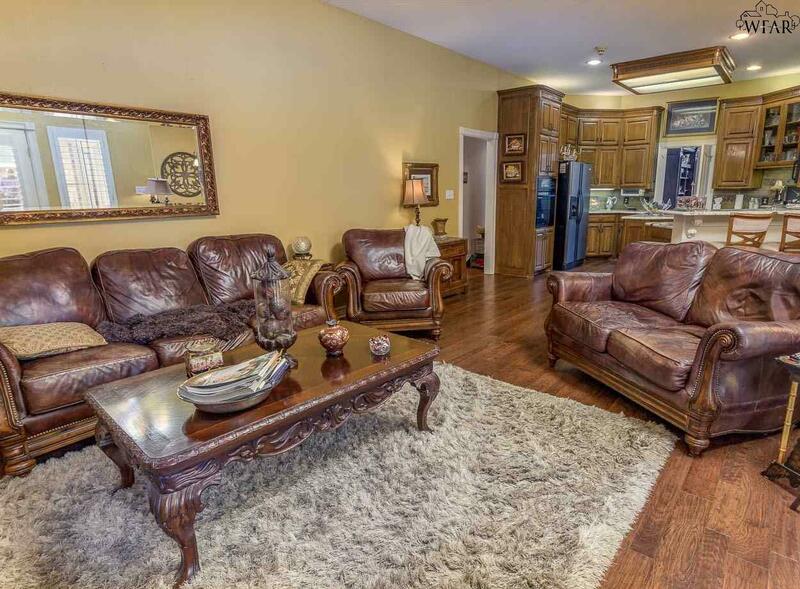 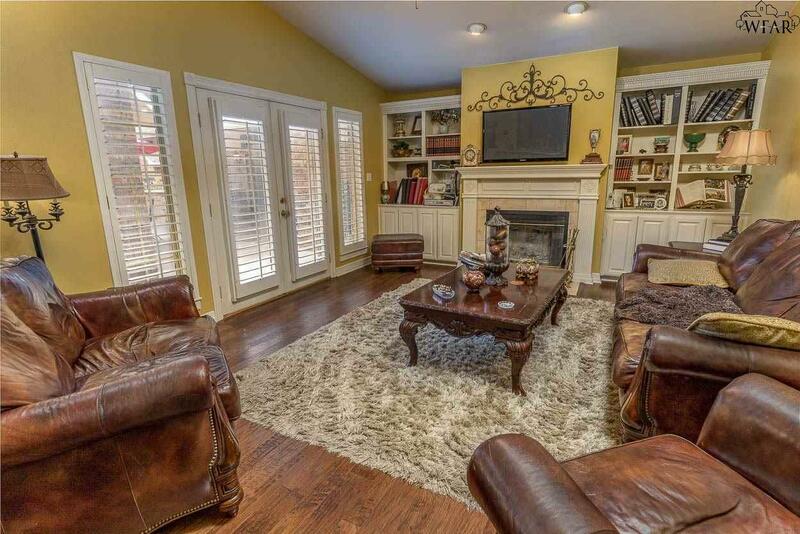 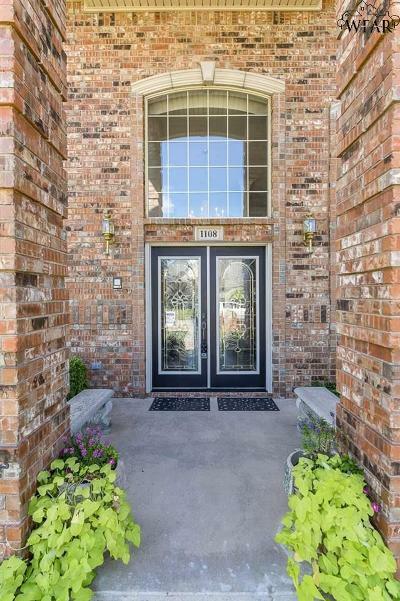 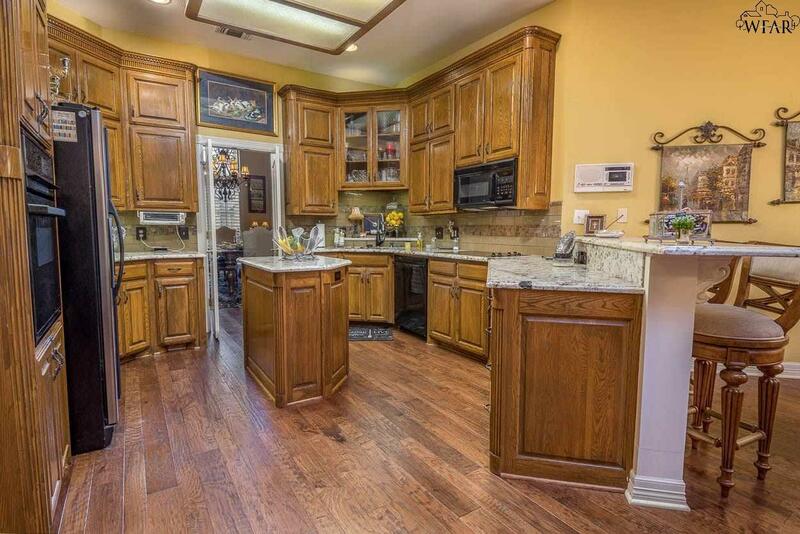 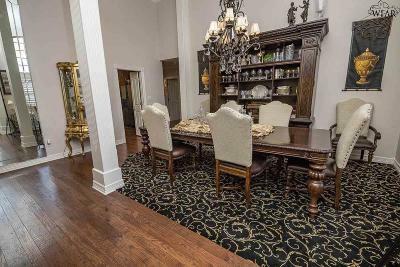 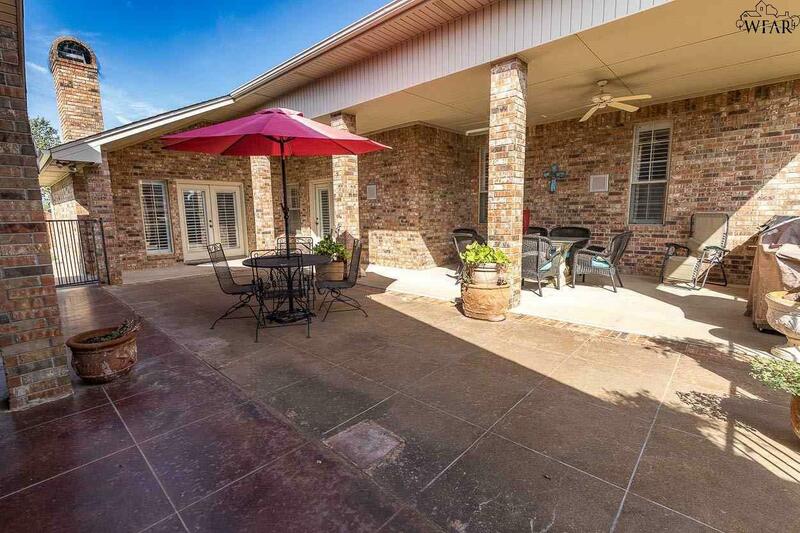 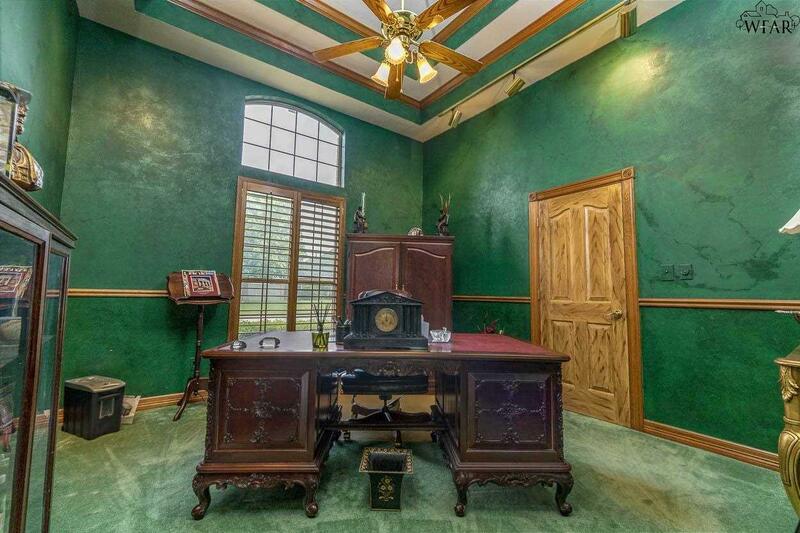 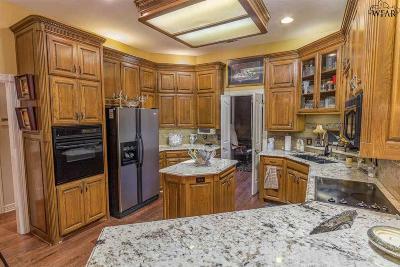 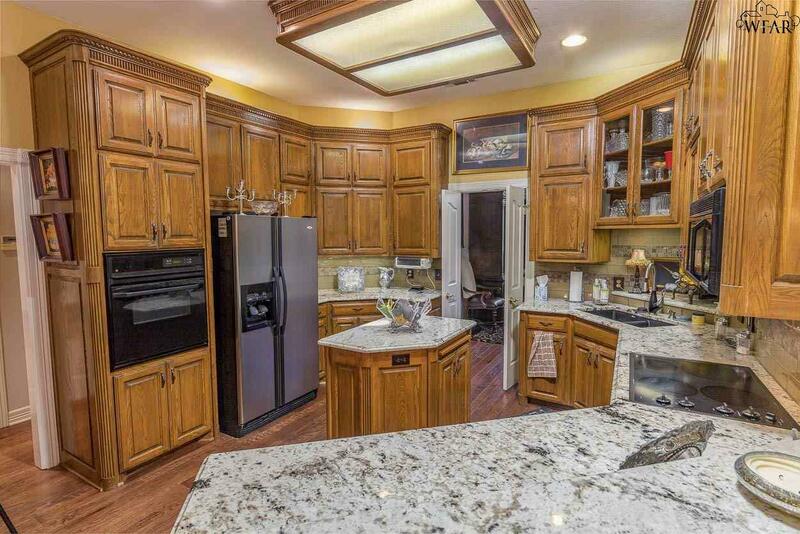 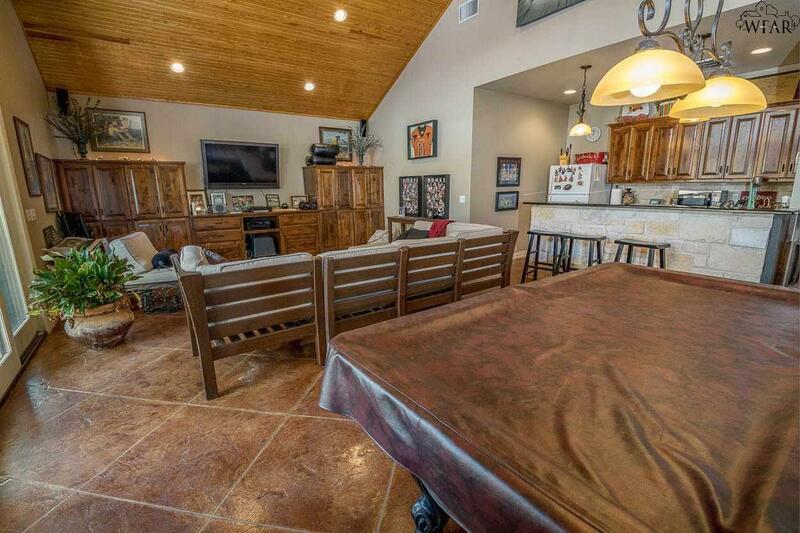 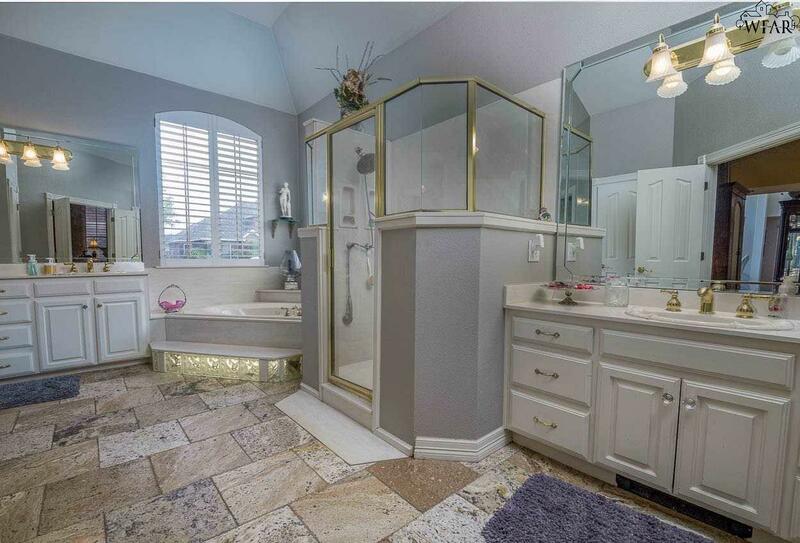 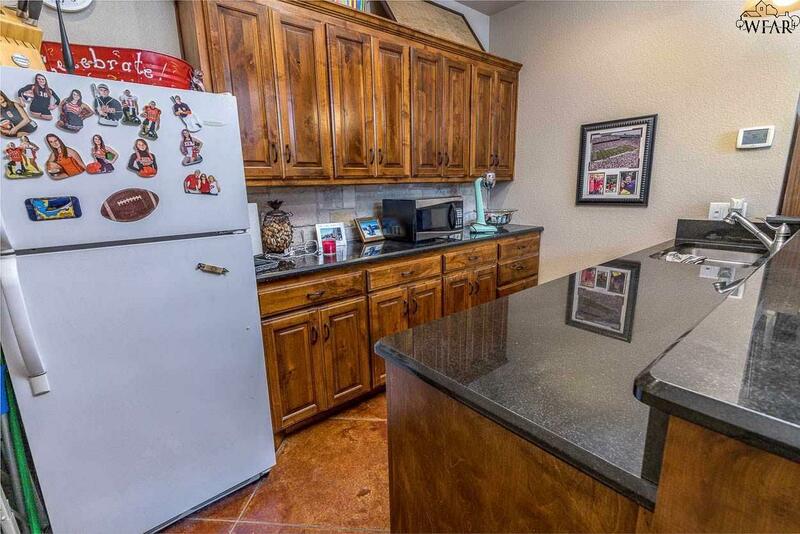 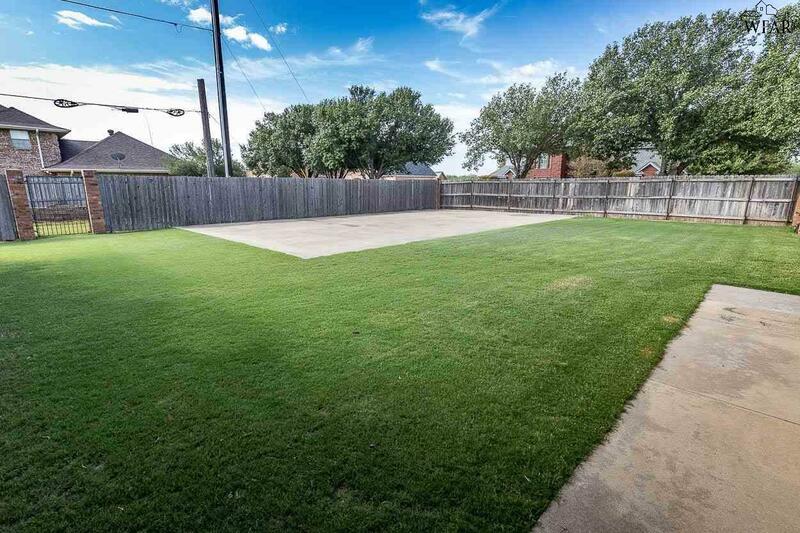 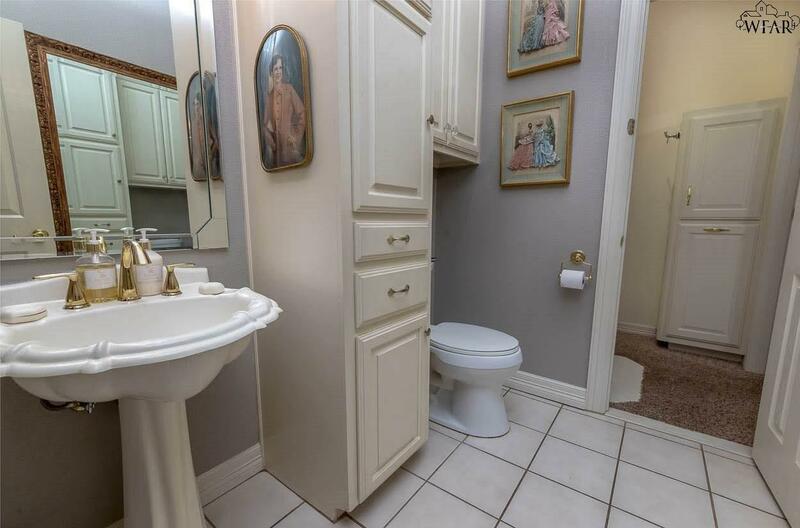 Entertaining family home situated on a nicely landscaped corner lot in Burkburnett. 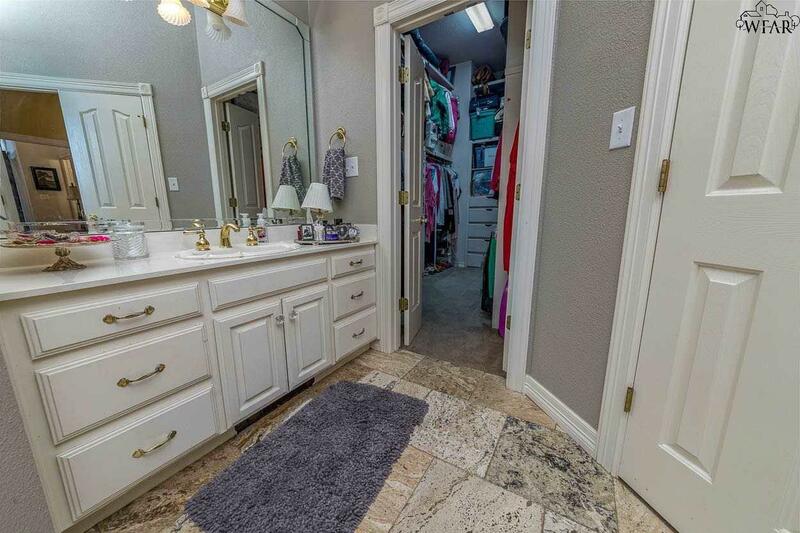 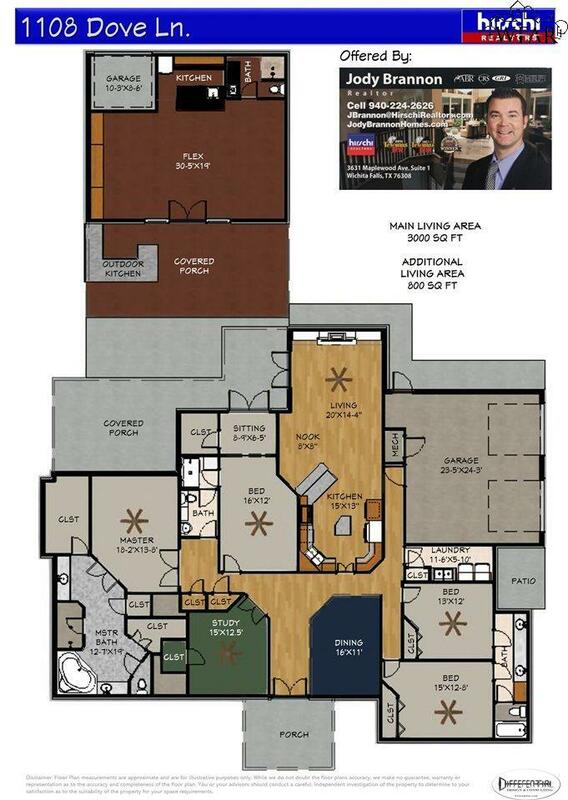 Well designed floor plan featuring 4 bedrooms, 3 bathrooms, spacious living room that overlooks the kitchen & breakfast nook, formal dining off entry, private office, separate utility room & tons of storage space. 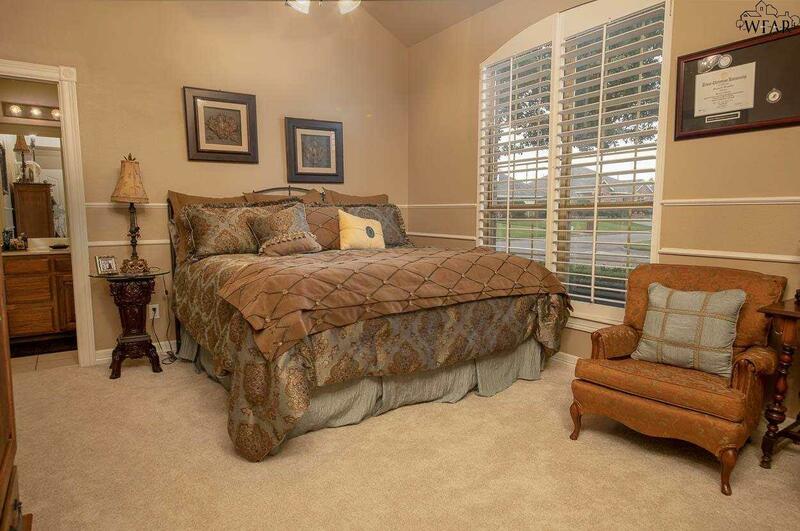 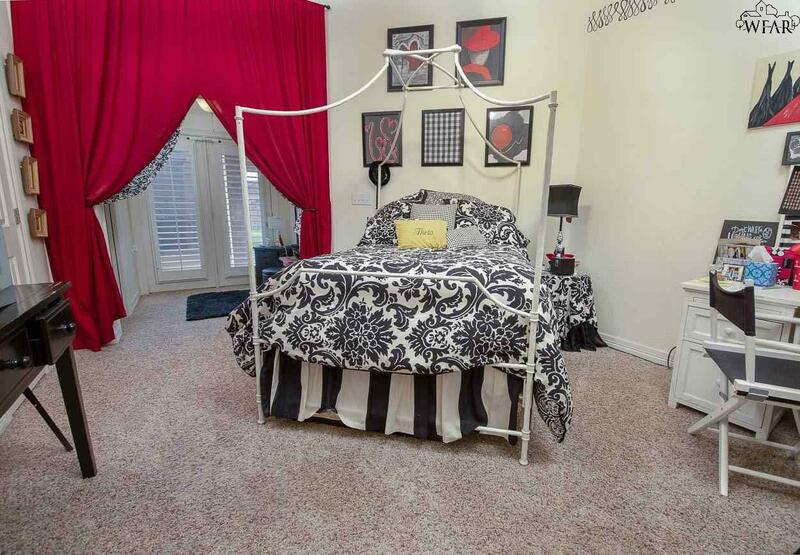 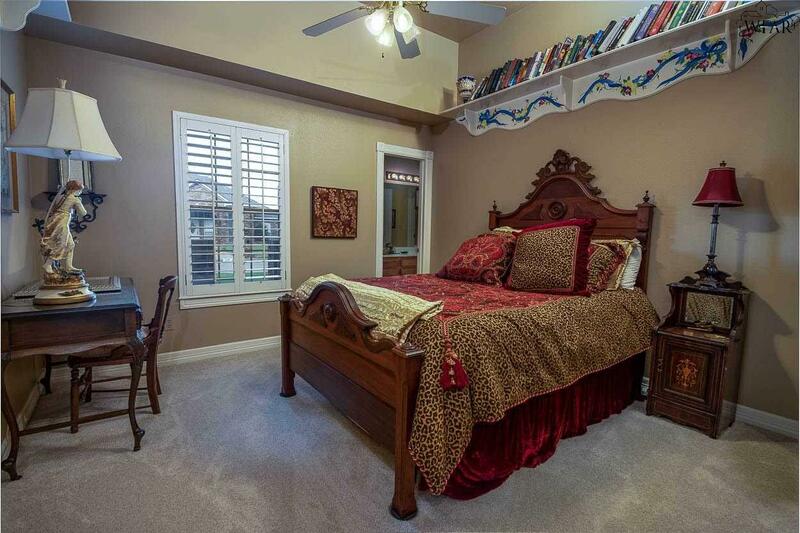 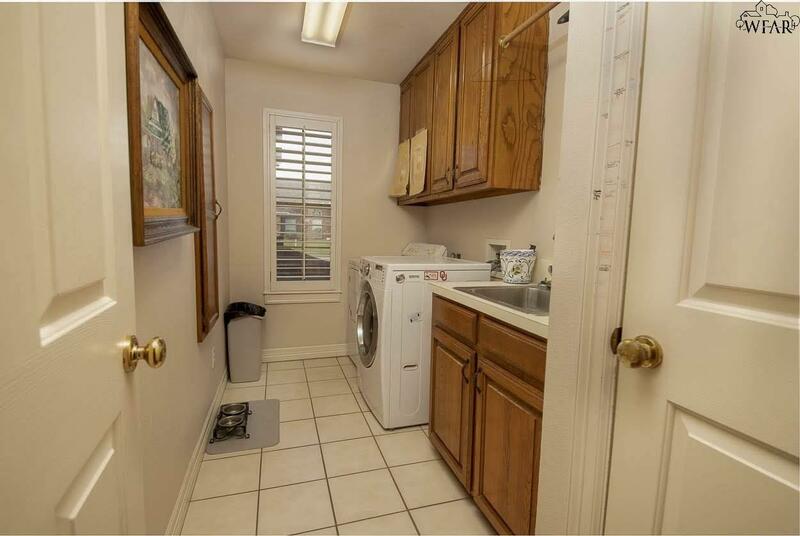 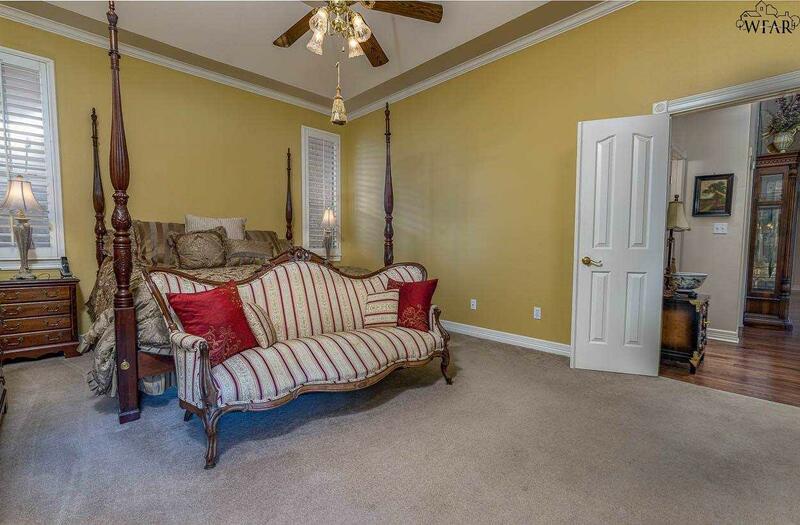 Extras include soaring ceilings w/ crown molding, hardwood floors & a geothermal HVAC for efficiency. 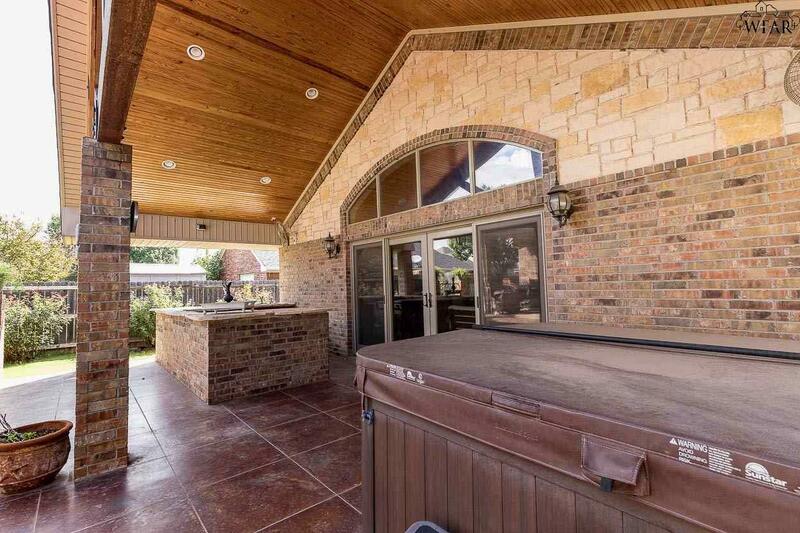 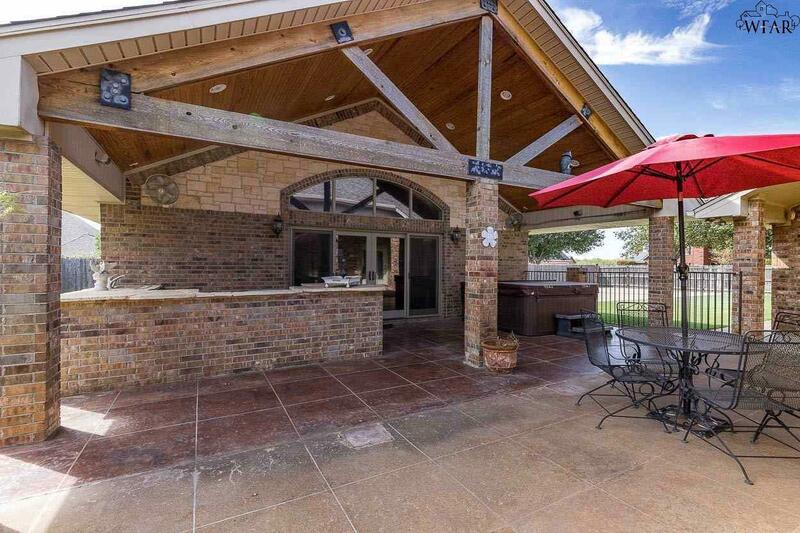 Incredible backyard w/ a 800 sq ft bonus room, large cedar covered patio & outdoor kitchen w/ teppanyaki grill.